Taking place in Amsterdam in 2015. In June 2015 RMA students in Art History and related fields will have the unique opportunity to participate in the inaugural Visiting Fellow in Modern and Contemporary Art seminar, sponsored by the Stedelijk Museum, the RKD, the OSK and the Universiteit van Amsterdam. Registration opens on December 3rd! W.J.T. Mitchell is Professor of English and Art History at the University of Chicago. He is editor of the interdisciplinary journal, Critical Inquiry, a quarterly devoted to critical theory in the arts and human sciences. 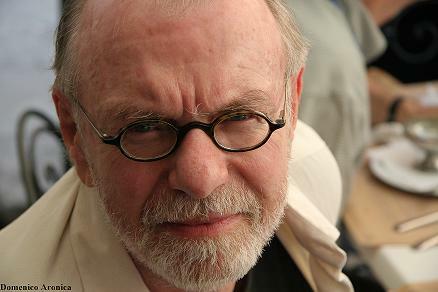 A scholar and theorist of media, visual art, and literature, Mitchell is associated with the emergent fields of visual culture and iconology (the study of images across the media). He is known especially for his work on the relations of visual and verbal representations in the context of social and political issues. Under his editorship, Critical Inquiry has published special issues on public art, psychoanalysis, pluralism, feminism, the sociology of literature, canons, race and identity, narrative, the politics of interpretation, postcolonial theory, and many other topics. He has been the recipient of numerous awards including the Guggenheim Fellowship and the Morey Prize in art history given by the College Art Association of America. In 2003, he received the University of Chicago’s prestigious Faculty Award for Excellence in Graduate Teaching. His publications include: “The Pictorial Turn,” Artforum, March 1992; “What Do Pictures Want?” October, Summer 1996; What Do Pictures Want? (2005); The Last Dinosaur Book: The Life and Times of a Cultural Icon (1998); Picture Theory (1994); Art and the Public Sphere (1993); Landscape and Power (1992); Iconology (1987); The Language of Images (1980); On Narrative (1981); and The Politics of Interpretation (1984). During his editorship, Critical Inquiry has published issues on canon-formation, gender, race and writing, public art, politics and poetic value, metaphor, psychoanalysis, identity politics, pluralism, new directions in art history, questions of evidence, and many other special topics. “Seeing Madness” is an exploration of the representation of mental disorders across a variety of media—photography, cinema, painting, opera, video, and literature. The project interrogates human fascination with extreme and abnormal mental and emotional states, and puts into question the adequacy of exclusively medical and scientific accounts of insanity. Collective as well as individual forms of mental disorder such as mass hysteria and paranoia will be considered, and the history of madness from ancient to modern cultures will be sketched. The syllabus for the Visiting Fellow will shortly be announced. The Universiteit van Amsterdam, the Stedelijk Museum Amsterdam and the RKD, The Hague, are collaboratively instituting the Visiting Fellow in Modern and Contemporary Art, an initiative that highlights the interdependencies of these organisations and their exhibiting, research, archival, mediation and educational functions. In establishing this high profile Fellowship, they provide rigorous academic accompaniment to exhibitions, as well as publicly visible and educationally viable evidence of the fact that what is shown and taught is both based on research and should also engender new research. The collaboration is a natural and a mutually beneficial one. The audience will be offered an outstanding critical analysis as public program event, made sustainable in written form through the publication of the keynote lecture in the Stedelijk Museum’s new online peer-reviewed magazine, Stedelijk Studies. With the choice of W.J.T. Mitchell as the inaugural Visiting Fellow, the institutions acknowledge that word and image relations are crucial and central to all of their intersecting concerns, and far from an “academic” pursuit, studying these relations means studying and intervening in social relations. Understanding images, their power and the values we apportion to them as well as to their study is thus work of great importance to which a variety of players contribute. As editor of the seminal journal Critical Inquiry Tom Mitchell has made far-reaching contributions to our understanding of a wide range of image- and art-related subjects and shown their relevance to all of us. His range, rigour and commitment, as well as his famed generosity as a teacher make us await his contribution to Dutch art history, exhibiting and educating practice with great anticipation. The seminar will consist of three sessions of three hours each, plus an afternoon excursion. A public introductory lecture will take place at the RKD on Sunday, 7 June. The seminar meetings will take place at the Stedelijk Museum (exact location to be announced) on Monday, Wednesday and Thursday mornings, 10 a.m. to 1 p.m. Date and time of the excursion to be announced before the start of the seminar. Students will be supplied with the themes of the sessions and a list of readings in advance (mid-January). These will introduce the material and issues of the seminar and are required, whether you are taking the seminar for credit or not (see below). As part of your Research Master program, the Visiting Fellow seminar can be followed as a 6 EC tutorial (limited to 8 students). On the basis of the readings supplied, tutorial students will be expected to develop a research question and proposal, plus a bibliography on their chosen topic for a 6,000-7,500 word paper, on which their grade will be based. During the spring semester these students will meet with the supervising docent (Prof.Dr. C.M. Lerm Hayes) to discuss their proposed project. Before the start and after the end of the seminar, students will then be expected to work on their projects independently. The final paper will be due at the end of June (date to be announced). Exact instructions will follow in January. You are also welcome as an auditor. Whether you are taking the course for credit or as an auditor, a CV and brief letter of motivation are required.